West Ham defender Reece Oxford is close to completing a season-long loan to German side Borussia Monchengladbach. Manchester United overtake Real Madrid as the world’s most valuable football team, according to business magazine Forbes. West Ham will sign defender Pablo Zabaleta on a free transfer once his Manchester City contract expires in June. Leeds United appoint West Ham’s Angus Kinnear as their new managing director, replacing the outgoing Ben Mansford. West Ham’s Declan Rice, 18, is called up for the Republic of Ireland’s friendlies and the World Cup qualifier against Austria. West Ham end their season with an away victory as they come from behind to beat Burnley at Turf Moor. 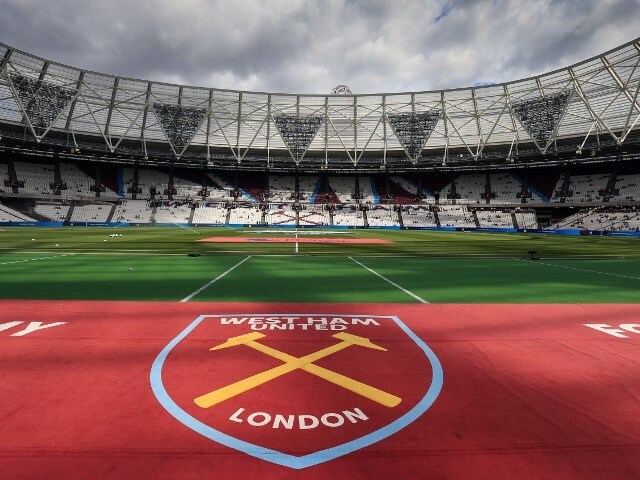 The telecoms giant had been in talks with the stadium’s owners for six months. BBC football expert Mark Lawrenson takes on tennis world number one Andy Murray in this week’s Premier League predictions. Tottenham’s hopes of catching Premier League leaders Chelsea are dealt a big blow as Manuel Lanzini earns victory for West Ham. West Ham boss Slaven Bilic wants more support for players facing mental health problems and says pressure in the game has never been so intense. Stoke and West Ham edge closer to Premier League safety after a goalless draw at the Bet365 Stadium. BBC football expert Mark Lawrenson takes on Line of Duty star Adrian Dunbar in this week’s Premier League predictions. Newcastle United and West Ham’s grounds are being searched by revenue and customs officials. Everton miss the chance to move into the Premier League top five as they draw against West Ham in an uninspiring encounter. BBC football expert Mark Lawrenson takes on Jermaine Jenas and Trevor Nelson in this week’s Premier League predictions. BBC football expert Mark Lawrenson takes on Newcastle fan Sting and his son Joe Sumner in this week’s Premier League predictions. West Ham winger Michail Antonio is ruled out for the rest of the season with a “significant injury”, manager Slaven Bilic says. West Ham captain Mark Noble calls the win over Swansea their “biggest in a few years”, as the Hammers move eight points clear of danger. BBC football expert Mark Lawrenson takes on singer-songwriter Amy Macdonald in this week’s Premier League predictions.